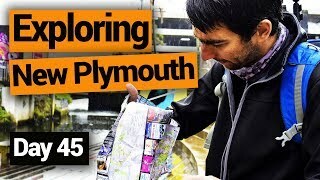 New Plymouth on a budget! New Plymouth is the place to be for backpackers who love city life but want to enjoy it on a budget! Whether you are drawn to art, music and food, or can’t resist the lure of the surf, it’s all here for you in New Plymouth. 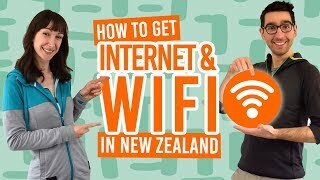 So get ready for these free things to do in New Plymouth! We love how art galleries and museums are free-entry, as well as the city being a hub for passionate locals eager to put on free or cheap events for visitors and long-termers. New Plymouth is also so close to many awesome outdoor activities. The city is the start of the epic Surf Highway 45, so surfers have the convenience of the city with the waves on their doorstep. For those who prefer to stay on dry land, we’ve listed some of the walks and parks well worth checking out all within walking distance of the city centre. There you have it, a week’s-worth of free or cheap things to do in New Plymouth. (And that’s before you hop in the car and explore the great Taranaki region). Enjoy it out there! Easily accessible from the city centre of New Plymouth, Pukekura Park is not just your average city domain. Take your pick of multiple tracks through native and exotic trees to lookouts over lakes, water fountains, and check out more gardens to explore below. The park is very photogenic with its red footbridges, waterfall and waterwheel. Location: There are multiple roads to access Pukekura Park. From the city centre, follow Liardet Street all the way to the end. The expense of this activity really depends on how well equipped you are. 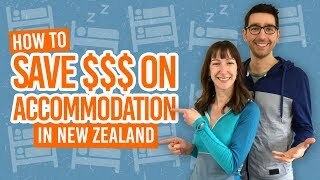 Some hostels in New Plymouth have free surfboard hire depending on availability, while wetsuit and board hire is usually around the NZ$30-40 mark. But you just can’t put a price on the famous surf beaches of New Plymouth. Check out Fitzroy Beach and Back Beach, or travel out of the city and find a ton of surf beaches along Surf Highway 45. Location: Fitzroy Beach is at the end of Beach Road on the east side of the city. Back Beach has multiple car parks along the Surf Highway 45 just past Paritutu Rock. See that big rock at the end of the city? Don’t you just want to climb it? Well, you can! 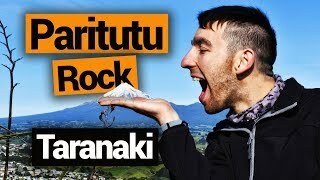 There’s a 15-minute walk right to the top of Paritutu Rock with unmatched views of the Sugar Loaf Islands, New Plymouth, Mt Taranaki and even the central North Island volcanoes of Mt Ruapehu, Mt Tongariro and Mt Ngauruhoe. Be prepared for a super steep climb to the top of the rock (which is more like a rock climb holding onto a chain fence). Location: Just look at that big rock and walk towards it. There is a car park for the rock at the end of Paritutu Road. New Plymouth’s Coastal Walkway is the most talked-about free activity in New Plymouth. 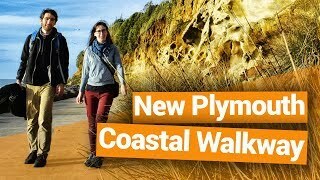 Taking in stunning coastal views (especially at sunset) and passing various artwork, estuaries, coastal cliffs and farmland, there’s a lot to see along this 12.7km walkway. The free option is to walk the walkway, however, many people prefer to cycle it. (Hiring a bike usually costs NZ$10-20 per hour). For more walks, see 8 Wonderful Walks in New Plymouth, Taranaki. Location: Access from multiple points along the coast of New Plymouth. This free-entry art gallery gives first impressions from the curved mirror-like architecture that you can’t ignore. Exhibitions change three times a year, but you can guarantee to see some of the work from the New Zealand art legend, Len Lye, who is widely regarded for his contemporary kinetic art. (You may have seen the Wind Wand on the Coastal Walkway). Location: On the corners of Queen Street and Devon Street West. The relatively small exhibition (in comparison to history museums in Auckland and Wellington), is packed with interactive exhibitions. Learn out the social history of the Taranaki region from the early Maori settlers to the European migration. Explore the volcanic activity underneath the mighty Mt Taranaki. See real whales bones and bones from the extinct native bird, the moa. New Plymouth has a happening art scene complete with monthly exhibition opening nights, free to attend by the public. Drinks and food are usually available either free or for a gold coin donation. Mingle with the locals, have a look at the art, and just enjoy the good vibes. Exhibition opening nights are popular in KINA NZ Design + Art Space and every first Thursday of the month at the Gallery at Jetcharm. Location: KINA is located on Devon Street West. The Gallery at Jetcharm is located in the Jetcharm Barber Shop on Egmont Street. With such a prominent art and culture scene, no wonder New Plymouth has so many events! Throughout the year, the city is known to host pop-up gigs complete with potluck dinners. (Keep an eye out on the Pop-Up Gigs Network). Annual events worth checking out at the Festival of Lights in Pukekura Park through December and January, the WOMAD Festival in March, the Get Up Festival during the Taranaki Anniversary, and much more! Location: All over the city. In the shadow of the Coastal Walkway, only the locals seem to take advantage of this river walk easily accessible from the city centre. You can even team the Te Henui Walkway with the Coastal Walkway. From the coastal walkway, take the Te Henui Walkway all the way to Durham Avenue in the south or make it into a loop walk by crossing over the bridge at Cumberland Street and returning down the other side of the river. The Te Henui Walkway takes around two hours to complete. Location: There are multiple access points to the walkway, but most people start from the Coastal Walkway. A worthy stop on the Coastal Walkway or an exclusive visit all in itself, Lake Rotomanu gives some awesome views of Mt Taranaki on a clear day. Hire some fishing gear or a stand-up paddle board from the hire stores in the city and you have a day of lake fun right here! Location: Access is from Clemow Road or just off the Coastal Walkway near the Te Rewa Rewa Bridge. That’s right, we often have some amazing deals on activities in New Plymouth for under NZ$20! Take a look at our exclusive New Plymouth deals over on the BackpackerGuide.NZ DEALS tab. … Check out more great things to do!